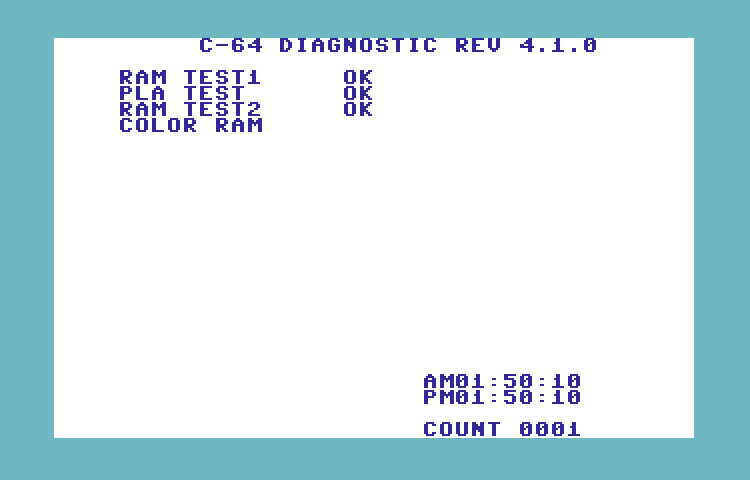 This particular diagnostic seems to be quite limited compared to the others I have tried out. 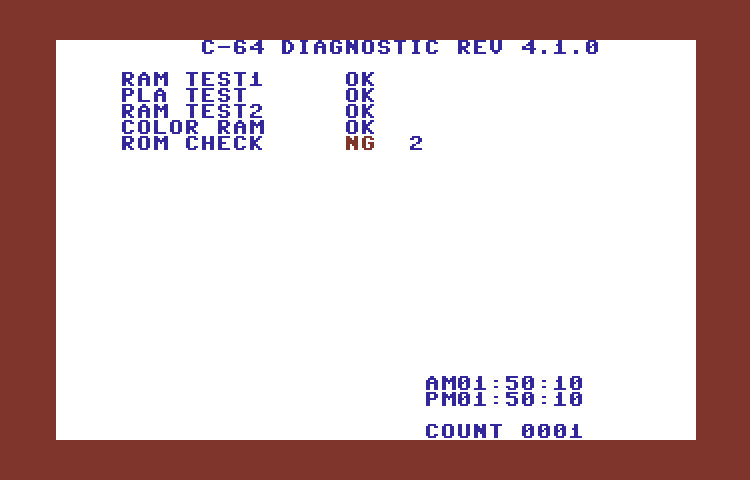 It will use the same test harness as the Commodore Diagnostic Cartridge Rev. 586220(326070-01). Included in this archive is both a .crt and .bin file.